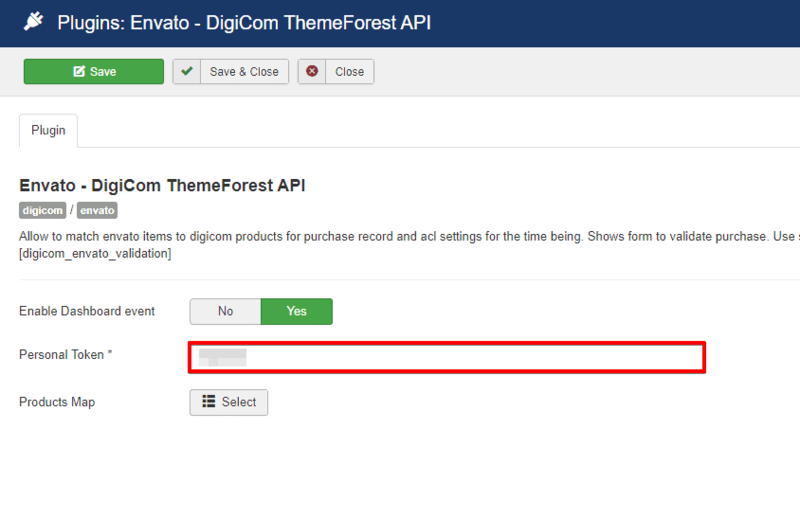 Go to Extension> Manage> Install and under Install from Folder tab, select your downloaded pkg_digicom_envato.zip file and click Check and Install button. It will show you a successful installation message as soon as it installed successfully. 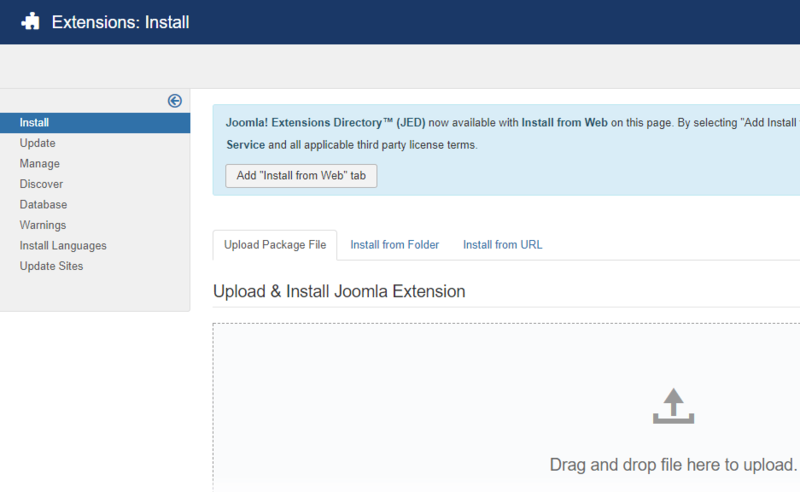 Else, you can drop your downloaded file under the Upload Package File tab, and it will automatically upload your addon. Find the plugin from the list. You can use the search box to find it quickly. 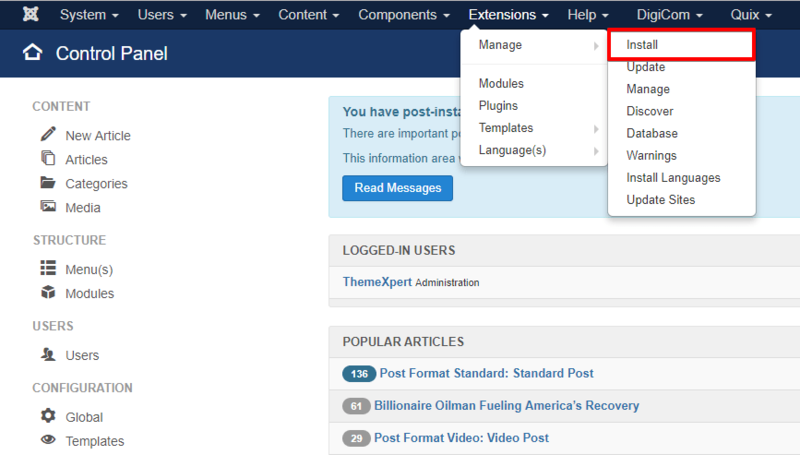 Just write envato on the Ajax search box, and you’ll find it on the top of the module. 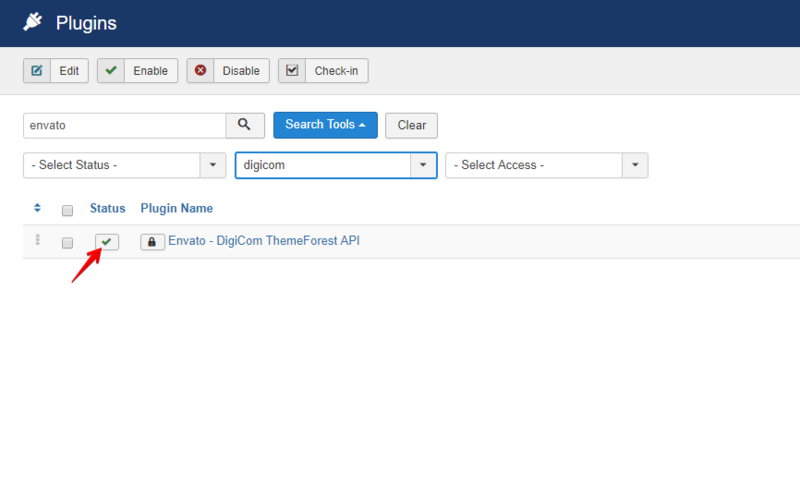 After you find it, enable it just by clicking on the pointed area shown in the screenshot below. 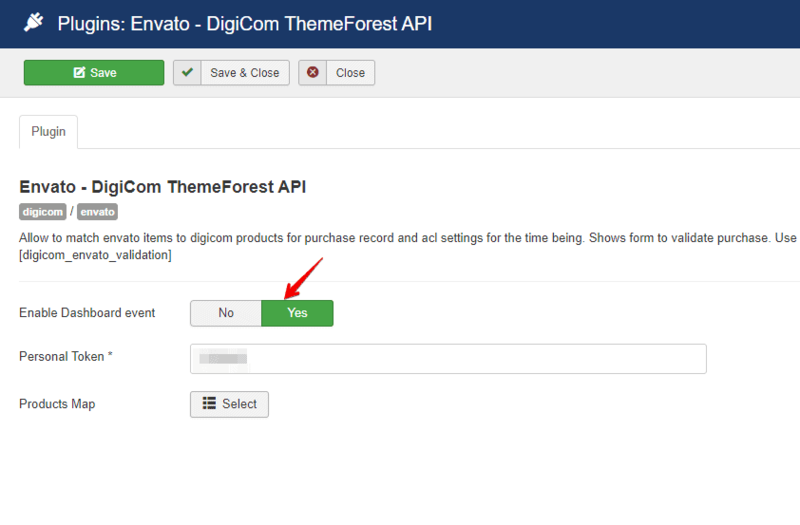 Set Yes to Enable Dashboard Event. 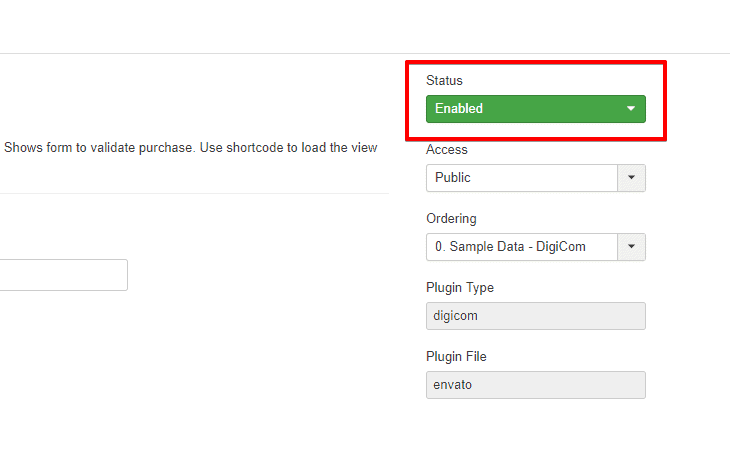 Put your Envato App Personal Token to the corresponding empty field, pointed on the screenshot. For better understanding regarding how to get Envato app token, watch the video below. Click on the Products Map and a modal window will open up that lets you list your products according to their themeforest item item. 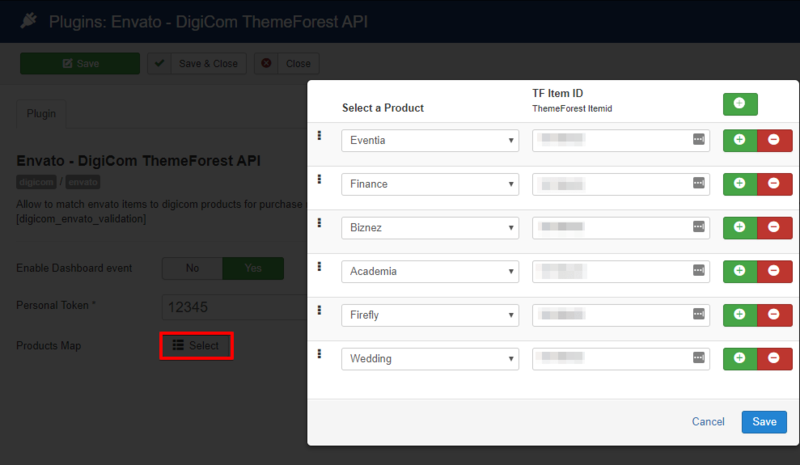 Now, Click on it and make sure that Enabled is selected on the Status menu drop-down and you’re done configuring.